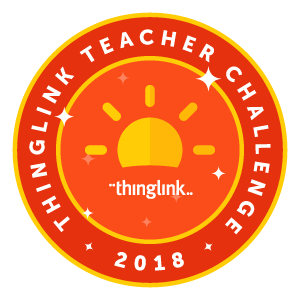 This warm-up activity introduces the new features available in the updated ThingLink mobile app. to users and it works very well as an introduction to ThingLink for learners of all ages. Try it today as a point of entry to the Teacher Challenge and use the modified version as a welcome back to school activity with students. The student version lends itself to opportunities to reinforce Internet safety and privacy at the start of the school year and can open the door to some important and meaningful classroom conversations. This self-paced, online learning event is designed for busy teachers on the go. You can start at any time and progress through the modules at your own pace. We invite teams of educators to participate and put yourself on the map. Join us for immersive storytelling across the globe. Learn more and signup today!